People are no longer tied to any specific location or device as they roam about getting work done on laptops, tablets, or even smartphones. The challenge is to keep everything synced so you can access the same data from each of those platforms. Your productivity at the neighborhood coffee shop grinds to a halt when the PowerPoint presentation you need is stuck on your PC at the office. Or, when you need to make an urgent call while out at lunch, you learn the hard way that a client's phone number on your laptop at home hasn't yet synced with the smartphone in your hand. No perfect, seamless solution exists yet, but you can automate syncing across platforms as much as possible and avoid many of these annoying scenarios. Keeping these kinds of data synced between any two devices is usually not too difficult. Smartphones and tablets generally have a USB cable of some sort that connects them with a PC to sync data. The problem is to keep things up to date when you're away from the computer. Consider these approaches. You need access to the same information and data no matter which PC or mobile device you're using. For some platforms, default systems are in place. For example, smartphones and tablets running Google's Android OS work best when connected with the array of Google services, such as Gmail, Google Calendar, and Contacts. BlackBerry devices work best with BlackBerry Enterprise Server. And Microsoft Windows Phone 7 devices work best with a Microsoft infrastructure. While it is possible to use other solutions for e-mail, contacts, and calendars, life is much easier if you embrace the de facto system for your specific mobile device, and rely on that system for keeping your data synced on your PC and on other devices as well, if possible. If you use Microsoft Exchange Server or Office 365, keeping your data synced is relatively simple. Exchange Server maintains the e-mail messages, contacts, and calendar information, so the data can be accessed from pretty much anywhere and any device. 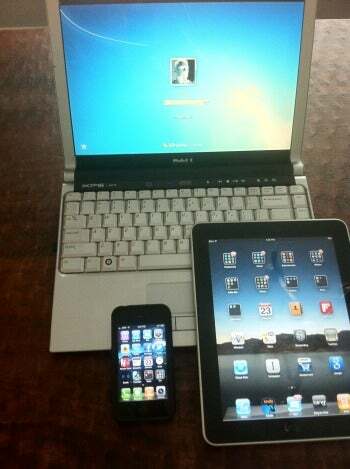 Laptops can connect to Exchange over any Internet connection, and most smartphones and tablets can stay synced using Exchange Active Sync. BlackBerry smartphones and tablets use Blackberry Exchange Server rather than Exchange Active Sync to accomplish the same goal. If you are not using Exchange Active Sync, or you need to keep data in sync with another PC, neither of the previous solutions will help. For both iOS devices and secondary PCs, the easiest path to syncing information runs through Google. The simple solution is to use the various Google tools. If you rely on Gmail, Google Calendar, and Contacts rather than e-mail, calendar, and contacts maintained locally as with Microsoft Outlook, then you won't really have multiple copies of the same data to try to keep in sync. You will simply connect to the Google data from your various devices, and any changes or additions will be made on the Google service itself, so they will be reflected when you connect from another device. If you use Microsoft Office and rely on Outlook locally for e-mail, calendar, and contacts, Google still offers the path of least resistance for keeping things in sync. Google Apps Sync for Outlook will sync your e-mail, contacts, calendar, and notes between Google Apps and Outlook--but as the name implies, it requires you to be a paying customer of Google Apps. Google Calendar Sync can sync between Microsoft Outlook and your Google Calendar. For users who are not Google Apps customers, though, Google has alternative tools. 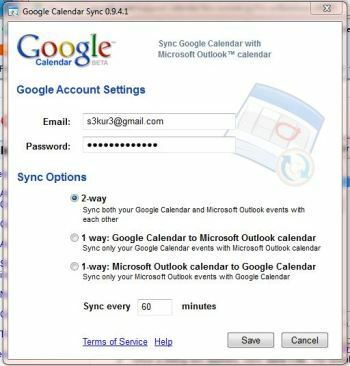 Google Calendar Sync will perform two-way syncing of your calendar between Google Calendar and Microsoft Outlook. You can set up e-mail on multiple computers as long as you configure each system to leave messages on the server as well so they can be downloaded at each location. That still leaves your contacts. A variety of products help fill this void and keep data on Google synced with data on Microsoft Outlook. Using a product like Sync2 ($30), or gSyncIt ($20) for each PC you want to keep in sync will make sure changes and additions from one PC will make their way to your other computers. With your data synced to Google, you can then set your iPhone or iPad to use Google Sync for e-mail, calendar, and contacts so those platforms will also have access to the current, synced data. Google uses Exchange Active Sync, so you add Google Sync to your iOS device as if it were an Exchange e-mail account, then set your calendar and contacts to update using Google Sync. Keeping documents, spreadsheets, presentations, and other data synced among devices can be more challenging. E-mail, contacts, and calendar data are essentially individual files that are meant to be the same from one device to another. Files such as word processing documents, on the other hand, are much more fluid and limitless. Documents, spreadsheets, and other files can also quickly exceed the storage capacity of mobile devices that often have a meager 8GB or 16GB of storage. The trick is not only to have the same file available on each platform, but to be able to create or edit those files on any platform and see those changes and that content reflected wherever you access them. It is possible to store your files on an external USB hard drive or thumb drive that you carry around and can access whether at your desktop or on your notebook at a Starbucks. The USB storage also will work with some tablets, like the Motorola Xoom, but for most tablets and smartphones, you'll need another solution. One drawback of USB storage is that if you're backing up that USB data on various devices, you could easily wind up with multiple versions of the same file. 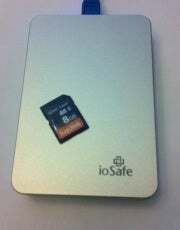 A majority of smartphones and tablets have expandable storage through SD memory cards, and many desktops and laptops have memory card readers built in as well. But iPhones and iPads have neither a USB port nor an SD memory card slot. And again, carrying data with you on a card or fob means there's no elegant, automatic syncing behind the scenes; you must save and back up the data yourself. You will have to find another way. You could use a portable USB drive or SD memory card to transport data between devices, but that's not so elegant. As with syncing e-mail, contacts, and calendars, the most elegant solution is to use cloud-based storage, such as Microsoft Windows Live SkyDrive or Google Docs. By storing your files online, you can access them from anywhere, using virtually any Web-connected device, as long as you can find an Internet connection. Ideally, you also want to be able to work offline when necessary and still have the data stay in sync between your various platforms and devices. SkyDrive provides a Microsoft-centric solution. Using Windows Live Mesh, data automatically syncs from the desktop to the cloud--and Windows Phone 7 smartphones integrate with data stored on SkyDrive as well. Users of other smartphone and tablet platforms can still use the browser to access the SkyDrive site, but without native support for SkyDrive or Microsoft Office file formats, working with the files may not be as easy. Google doesn't currently offer a way to work with Google Docs offline (although one is expected this summer), but you can use tools from Memeo to provide offline access to Google Docs data. And the free Google Cloud Connect add-on lets you sync files from Microsoft Office software to Google's cloud--but be warned that Google Docs may mess up your formatting. For more general cloud data storage that isn't so closely tied to Google Docs, you can use services like Box.net, Dropbox, or SugarSync. With each of these, designated folders on the local desktop are automatically synced with data stored online. The services have client applications for both Windows and Mac OS X (Dropbox also has a Linux client), and each has apps to access synced data from various mobile platforms including iOS, Android, and BlackBerry. SugarSync provides 5GB of free storage across devices. Dropbox provides 2GB of file storage and syncing for free, and SugarSync provides 5GB. Box.net has free online storage, but you have to pay for the next level up of service in order to get the automatic desktop syncing. Box.net offers more for paying customers, but SugarSync provides the most storage capacity and flexibility among the free services. In some Utopian future perhaps there will be better standardization and a capability to sync files and data across various platforms and devices simply and seamlessly. For now, it can be done, but depending on the devices you need to keep in sync it may involve some tech acrobatics to make it all work.